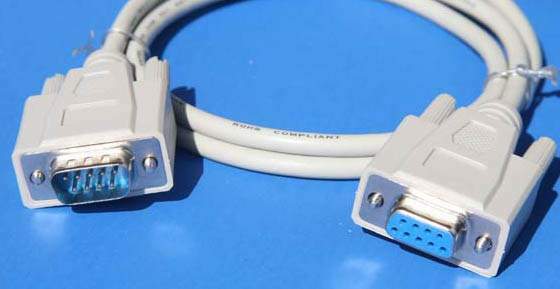 1 FT. Cable Male-DB9 to Female-DB9 Cable. Full Molded cable with thumb screws. Packaged in Generic Poly Bags for usage with product or Retail Sales. Used to extend old style monitors 9 pin style.